gantt,chart,task manager,project manager,calendar,scheduler,project,scheduling,scheduler,organizer,planner,reminder,personal,asks sequences - a task or multiple tasks can be required to be completed before other tasks can be started. 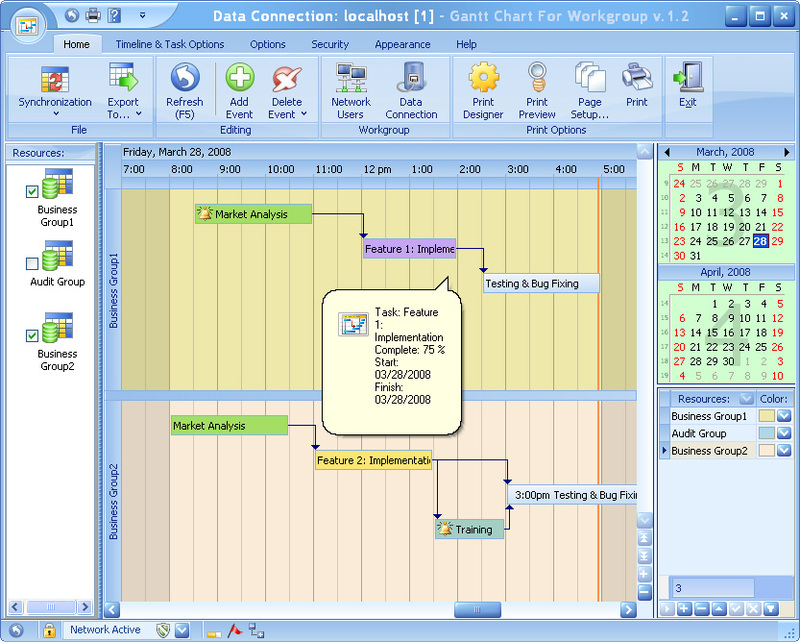 The program has iCalendar import and export. endencies, create new task connectors and re-schedule individual tasks. You pay for the program only the first time and get all new versions of this program for FREE and for a lifetime! Sys requirements: 32 MB of RAM, 20 MB of available hard disk space.